bottled hibiscus tea | Karkade Tea Inc.
Posts tagged with "bottled hibiscus tea"
Hibiscus tea is packed full of significant health benefits that can help make a positive impact in your life. Our bottled hibiscus tea can be the perfect way to get a jump start on your day and with only simple, natural ingredients you will be sure to get nothing but the best from our blend. Below are just some of the benefits you will receive from starting your day with Karkade Tea. Lower your Cholesterol: Hibiscus tea is known to be a powerful tool in lowering cholesterol and can be an easy way to help keep yours in check. Having a glass of hibiscus tea once a day, along with healthy eating habits, can help you attain a healthier cholesterol level. Aid in Treating UTIs: Urinary tract infections are never fun, and neither is downing a significant amount of sugary cranberry juice to help get rid of them. Hibiscus extract is a strong antimicrobial that can stand up against bacteria and fungi that cause these infections. Lower your Blood Pressure: Hibiscus is also well known to combat high blood pressure for those who are pre-hypertensive or mildly hypertensive. If you are prone to high blood pressure, having a glass of our delicious hibiscus tea every day can help your blood pressure stay stable. Prevent Kidney Stones: Kidney stones form when there is an excess of substances such as calcium oxalate in the urinary system. 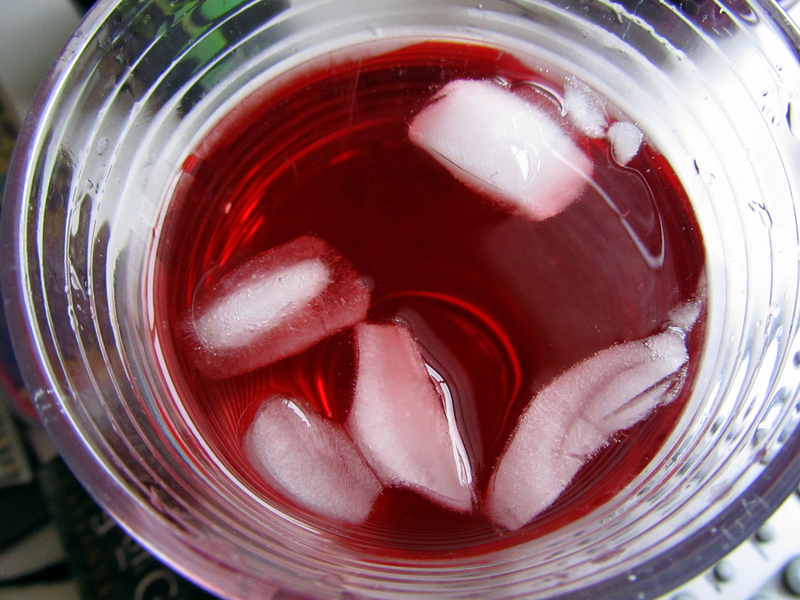 Drinking a glass of hibiscus tea each day can help prevent the buildup of these stone-forming materials. This entry was posted in Uncategorized and tagged bottled hibiscus tea on November 25, 2017 by . 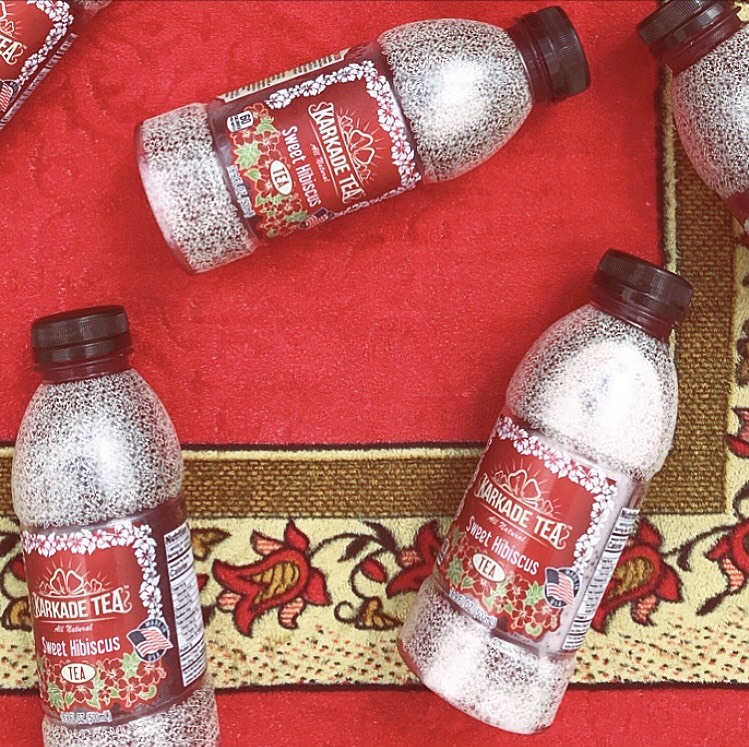 What better way to get the par-tea started, than with bottled tea? We understand you might be on the fence about drinking bottled tea because you are used to making your own at home. 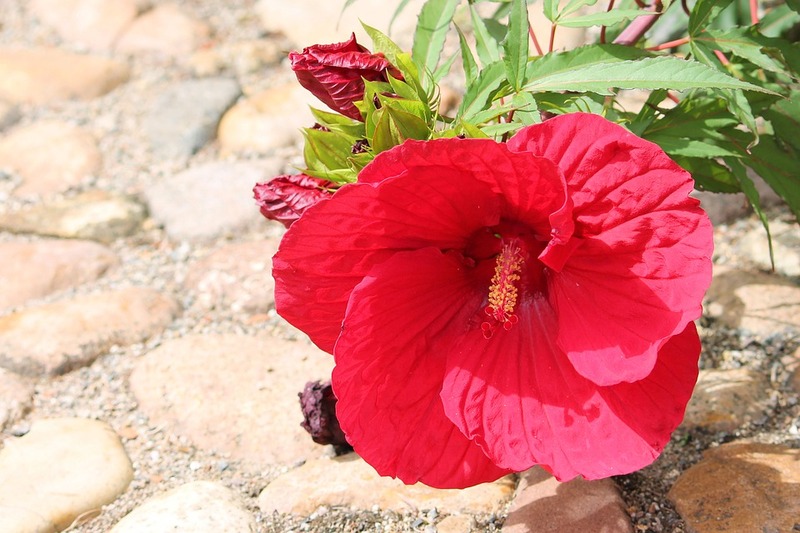 Discover some of the reasons why you should drink our hibiscus tea. On The Go- Whether you are traveling, in the office, or at the gym, you can enjoy tea without having to make it. You cannot just start making tea while you are driving, so our hibiscus tea is convenient for when you are on the go. Saves Time- When it comes to drinking tea, we understand you enjoy making your own at home and sipping on it while you relax, but what happens when you are in a hurry? You can just grab bottled hibiscus tea and still enjoy the same refreshing taste. No matter where you are or what time it is, you can enjoy our bottled tea. If you are looking for delicious bottled hibiscus tea, look no further than Karkade Tea. We are proud to brew and bottle our tea in Clearwater, FL. Give us a call today at (844) 350-2501 if you would like to place an order or have any questions about our hibiscus tea. This entry was posted in Uncategorized and tagged bottled hibiscus tea on September 28, 2017 by . 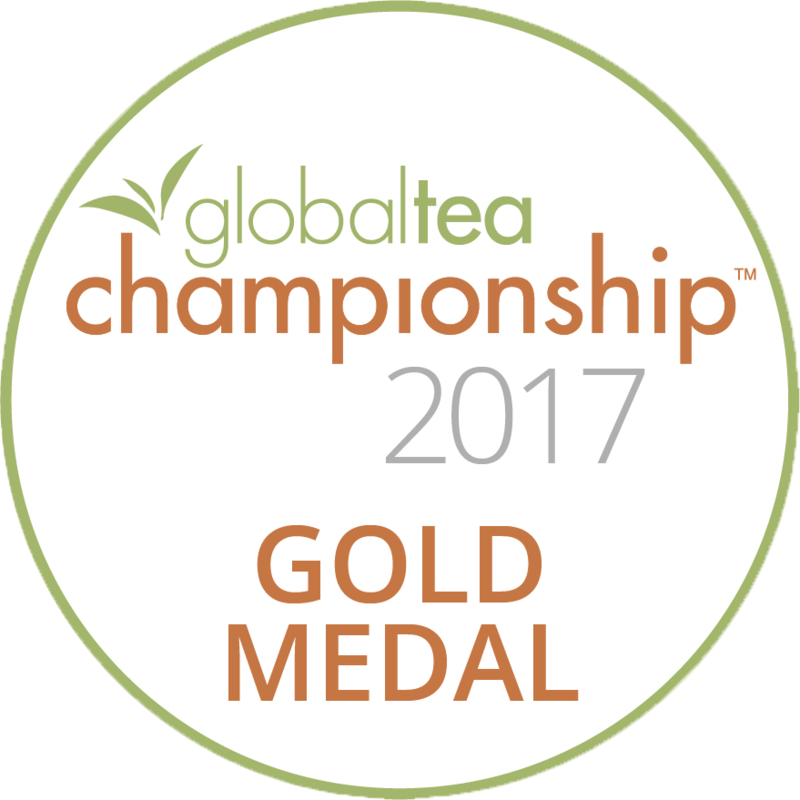 Karkade Tea Takes the Gold Medal at the Global Tea Championship! The results from this year’s Global Tea Championships have come in and Karkade Tea takes the gold medal! Our bottled hibiscus tea was one of four gold medalists in the 2017 competition, ranking higher than popular brands such as Teavana and Argo Tea. Teas are ranked based on color/quality, flavor, mouthfeel/body, and overall harmony of the brew. Below are some highlights from Karkade Tea’s review. When it comes to the color and clarity of our tea, it was nothing less than ideal for the judges. The bright, vibrant red of our tea was reflective and displayed the perfect color for a high quality hibiscus tea. Our tea was also crystal clear and contained no particles or haziness when viewed through a clear glass. According to our judges, Karkade Tea is “divine” and full of juicy flavor that you “just cannot stop drinking”. Our bottled hibiscus tea is well rounded in body and has a smooth, desirable taste. The judges felt that our tea was well-conceived and executed perfectly for a single origin tea and that there is knowledge behind the harvesting and processing aspects of our brew. The distinct character and origin of the tea really shows and the overall blend is very balanced. This entry was posted in Uncategorized and tagged bottled hibiscus tea on June 28, 2017 by . If you’re looking for a healthier alternative to highly processed, 20+ ingredient drinks, simply grab a bottle of Karkade Tea and go about your day! Our organic bottled hibiscus tea is crafted with only three ingredients: water, hibiscus tea, and sugar, so you can enjoy a refreshing bottle of iced tea without putting unnecessary chemicals into your body. Born from a family summer-time refreshment, our CEO decided to distribute this fragrant, red tea to the masses so people all across America can enjoy the taste of pure hibiscus tea. Karkade tea, more commonly called hibiscus tea, originated in Egypt, where even the Pharaohs have enjoyed its great taste. This tea is still widely consumed today and can provide a variety of different health benefits. Tea made from the hibiscus flower has been proven to reduce high blood pressure, aid in weight loss, and even help prevent cancer. We’ll be updating this blog regularly, providing our customers with even more information on this wonderful Egyptian tea. We’ll go into even more detail about the benefits of hibiscus and provide a variety of ways you can enjoy your new go-to drink! If you’re interested in trying our bottled hibiscus tea for yourself, give us a call today at (844) 350-2501. Online ordering and vendor listings are coming soon! This entry was posted in Uncategorized and tagged bottled hibiscus tea on May 28, 2017 by .